"Your purpose, then, plainly stated, is that you will destroy the Government, unless you be allowed to construe and enforce the Constitution as you please, on all points in dispute between you and us. You will rule or ruin in all events." Thus spake a previous Republican president. 1. Map. What you see above is how the "shiptracker" function of NOAA's Office of Marine and Aviation Operations looked earlier today, showing the recent course of some of its oceanic-and-fisheries research vessels. All the tracks shown on that map listed a termination date no later than midnight tonight, September 30, 2013. That is because the boats were ordered back to port in anticipation of the shutdown. Here is the way the map looks just now. 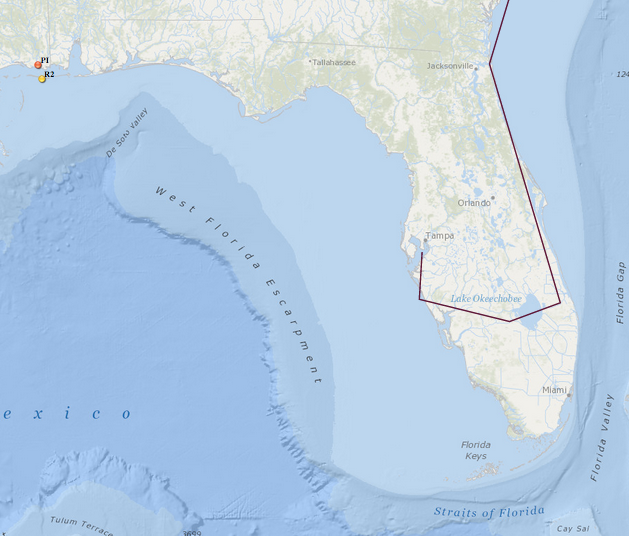 The little red and yellow dots near Pascagoula, Mississippi, are two research vessels that have been called back. Will it halt NOAA’s ocean research? For the most part, the federal government’s ocean research activities will be shut down. NOAA’s research vessels will all be ordered to return to port, scientific staff will be sent home, and research efforts will be wound down. 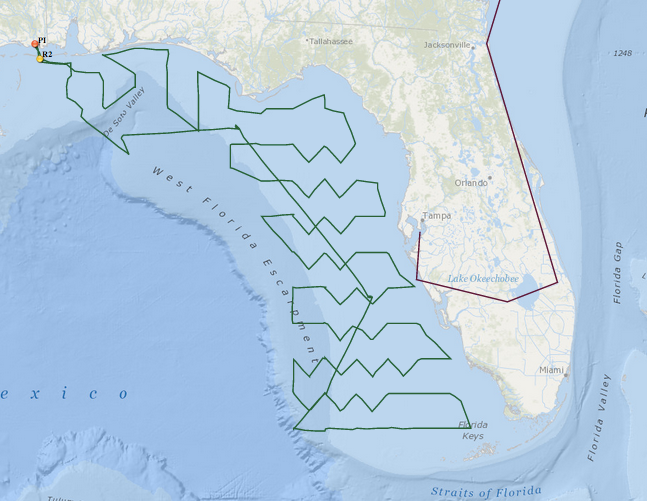 Just to rub it in, here is what similar boats have been doing in the past 30 days, according to NOAA data. Now all stopped. Democrats controlling only one chamber, the House. Then suppose further that Pelosi's newly empowered House Democrats announced that unless George W. Bush agreed to reverse the sweeping tax cuts that had been the signature legislative achievement of his first term, they would refuse to pass a budget so that the federal government could operate, and would threaten a default on U.S. sovereign debt. Alternatively, that unless Bush immediately withdrew from Iraq, federal government funding would cease and the debt ceiling would be frozen. ... is nonetheless dictating terms to the rest of the government. This would have been called extreme and unreasonable under an imagined Nancy Pelosi House in 2005. It is extreme and unreasonable now. To be sure, what the robber demanded of me - my money - was my own; and I had a clear right to keep it; but it was no more my own than my vote is my own; and the threat of death to me, to extort my money, and the threat of destruction to the Union, to extort my vote, can scarcely be distinguished in principle…. Ninety minutes to go, here on the East Coast. "Your purpose, then, plainly stated, is that you will destroy the Government..." Grrrr.